Bonjour! Thank you for making such a wonderful blog, the photos are so beautiful 🙂 It makes me even more excited to visit! Dear Sarah, thank you for your kind comment. The wisterias are in bloom at Giverny right now, but just starting. In a week or two the white wisteria will flower in its turn. Nevertheless, a night frost damaged the buds of one of the four blue ones, I’m afraid it won’t be as beautiful as normally. But Giverny is still packed with thousands of beautifully colored flowers! Most of the spring flowers don’t mind a light frost. 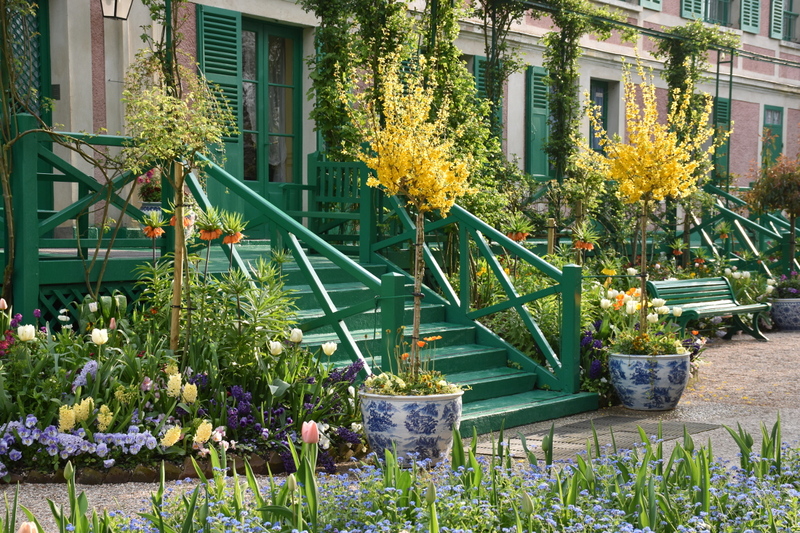 Enjoy your trip to Monet’s gardens!